Rosacea is a very common chronic inflammatory disorder of the skin. Rosacea is most often seen on the center portion of your face first and over time can spread to the rest of the face if left untreated. Rosacea is not contagious. The nose and inner cheek area near the nose will have a flushed reddish look and several broken capillaries (blood vessels) that are quite visible. Rosacea can also be seen on the chest area and in severe cases it can be found on the scalp and neck. Rosacea can start of with a mild pink flushed look. Over time the area can become very red and blotchy with the nose swelling in size. It may have an acne like appearance. It can be itchy or feel like its’ hot when flushed. At Lasting Looks Clinic in Toronto we have treated numerous patients with Rosacea and recognize that each patient has different concerns. We have various treatments and products available to help keep Rosacea under control. 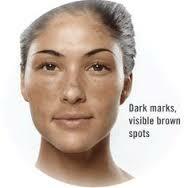 In some cases Rosacea can be hereditary and it is predominantly found in people with fairer skins. 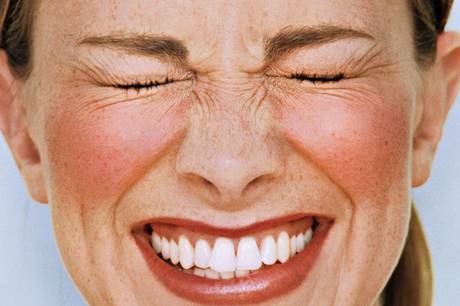 Rosacea can be triggered or made worse under certain conditions. For example certain foods may trigger your Rosacea but have no effect on someone else with Rosacea. Visit Lasting Looks Clinic for your personalized Rosacea treatment plan. Do you find yourself with redness or that flushed look? Is it primarily on the cheek, nose, forehead and chin area? Do you have dilated capillaries (blood vessels) or small bumps resembling acne in this area? Chances are that you have a condition called Rosacea. Rosacea affects millions of people in North America and around the world so you are not alone. The cause for Rosacea is unknown and it can happen at any age. Rosacea is a condition that can be controlled but not completely cured as you can always have something in your life that may trigger a flare-up. There are many things that can trigger a Rosacea flare-up. Some triggers may include stress, diet, alcohol, exercise, sun or heat. At Lasting Looks Clinic in Toronto we treat many patients with Rosacea. We will customize a Rosacea treatment plan for you using a combination of topical treatments as well as IPL or Photo Facials specifically designed for Rosacea.